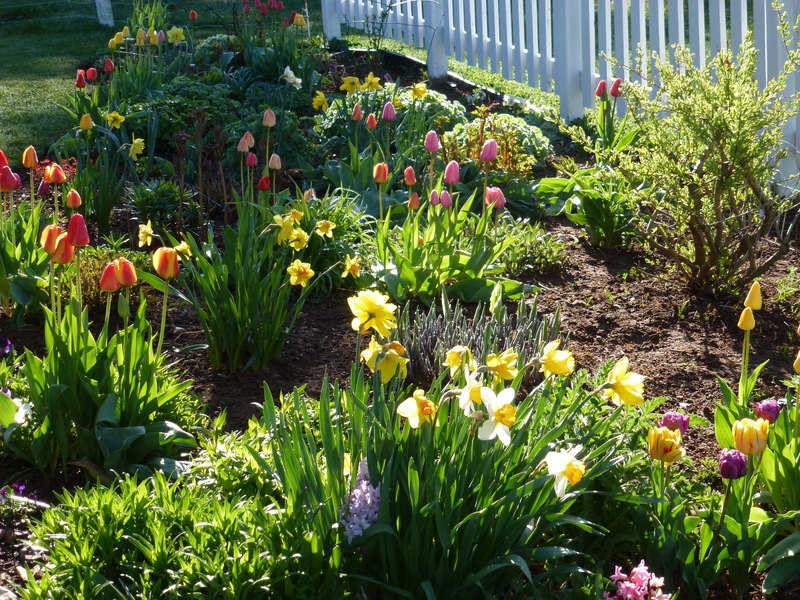 Sometimes Prince Edward Island is called the Garden of the Gulf, of St Lawrence. It’s Canada’s smallest province in area and population and, although it is 5000 kilometres from our home in the west, we love to come here to visit my sister Carol and John, her husband, who live on a farm near Montague. 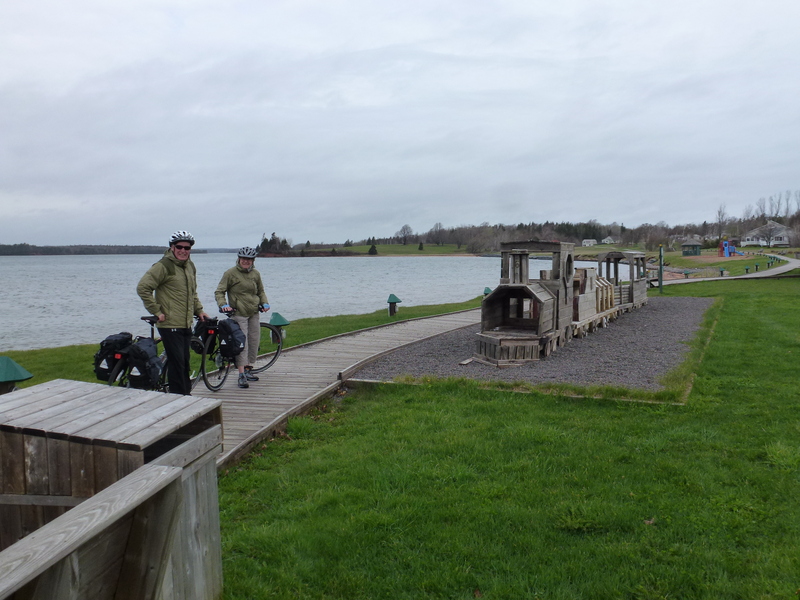 This year, rain or shine, we’re planning to add a few days cycling along the PEI’s Confederation Trail, part of the 20,000 kilometre TransCanada Trail. 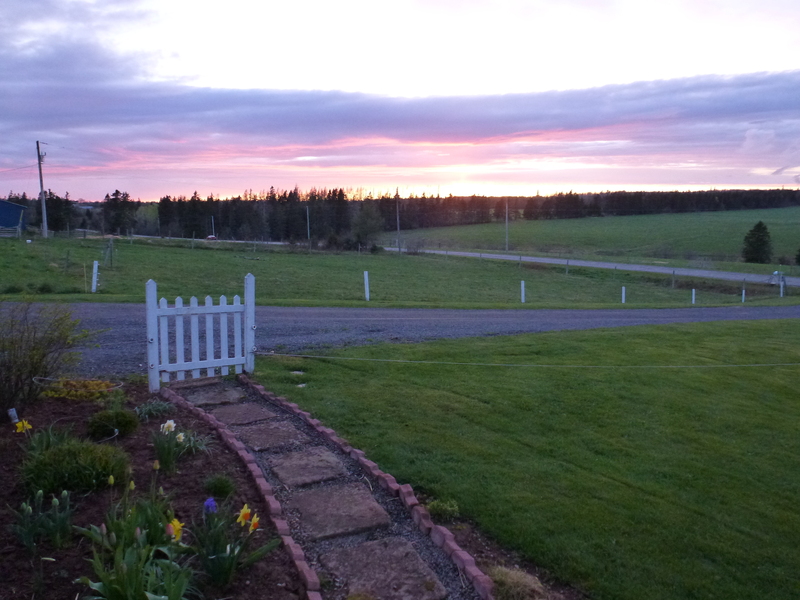 Early May is a quiet part of the year for cycling in PEI. It has been clear and sunny most days but it rained all day yesterday, and the forecast this week is not bright. 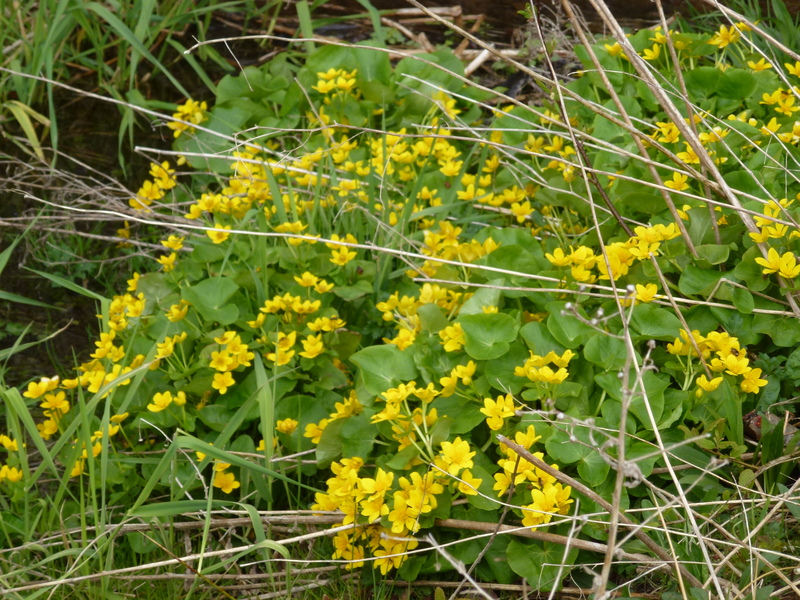 Day breaks, misty and wet; early spring gardens on the farm are dripping with moisture. And mud. Not to be defeated cycling with a little rain in our faces and promises of heavier rain later in the day, Ross and I hop into Carol’s truck with our bicycles to hitch a ride to Georgetown at the eastern terminus of a now defunct PEI railway line that has been ripped out and replaced with a gravel trail. Perfectly hidden and safe from the wind and rough seas, it’s not difficult to imagine the region’s colourful history. The Acadians first came to the area in 1732 to grow food and catch fish for the French military stationed across the Northumberland Strait at Fort Louisbourg. It was such an ideal location for provisioning the French soldiers that the British military landed a few years later and burned the Acadian village down. Today, fine, well-kept heritage buildings in the village tell the story of an impressive shipbuilding industry that existed during the Victorian era. My heart is racing with the thrill of beginning our bike trip at this memorable spot. Even though dark grey clouds whirl around us at the trailhead there is an encouraging hint of blue sky in between the swirls. 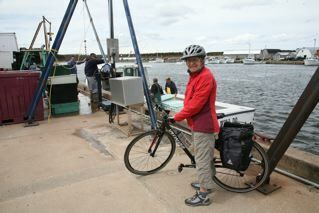 Our plan today is to cycle forty kilometres across the island to the village of Mount Stewart near the other side. The sweet smell of damp forest lures me down the long, gently graded, trail. 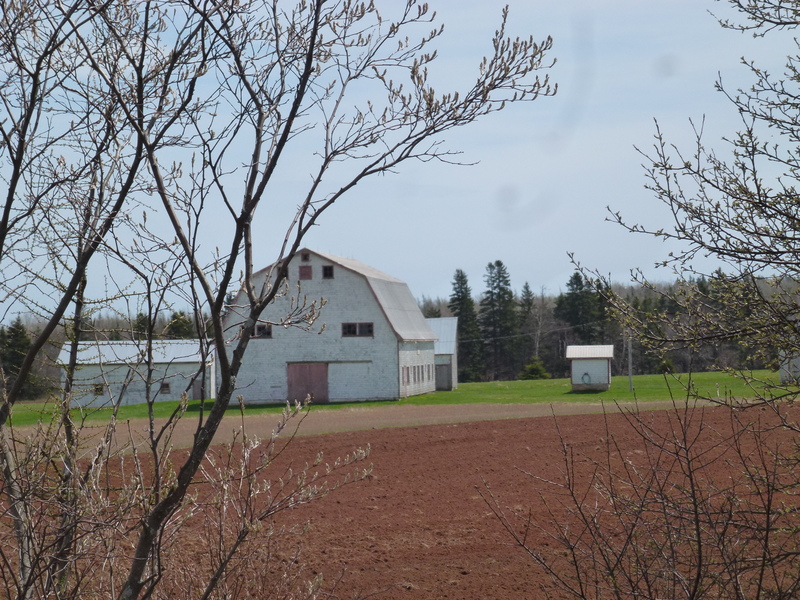 Picture-perfect tilled red soil, lush green fields, neat farmyards and “Anne of Green Gables” like-homes occasionally interrupt the forest. “Stop let’s take a picture” scenery, wet heavy gravel and slippery mud on the trail make cycling slow but we pick up speed when my camera battery dies. Then we lose time again when a pedal falls off Ross’s new rental bike. For me this is an unexpected pleasure because I like to stop and rest a lot although I am quite pleased that our cell phone works. While we hike out to the highway and wait for another new bike to be delivered, we picnic on good Canadian Cheddar cheese, fresh fruit and chocolate. Our siesta is on a beautiful grassy lawn beside the road while the sun is shining and warm. Eventually the new bike arrives. Forget the time, who can resist a sign like that? 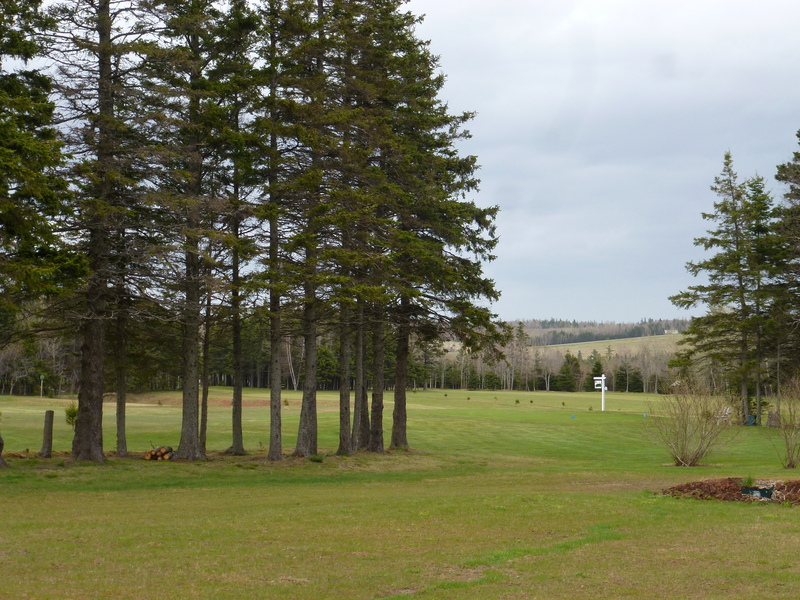 A two-minute sprint up a dirt track off trail takes us to a little golf course hidden in the woods. It looks closed but the clubhouse door is open, the TV is on, and a man is sitting at the bar chatting with a woman who is dashing around setting tables. Five minutes later the woman arrives with tea – real tea, on a tray with a little brown teapot and fine English bone china cups and saucers. “This just came out of the oven,” the woman says putting a plate down with a large piece of dark chocolate cake, steaming hot with a side of clotted cream . It’s hard to tear ourselves away from this comforting place but more clouds, in fact they are thunderclouds, are gathering and we have lost track of how far we have come and how long it will take us to get to Mount Stewart. 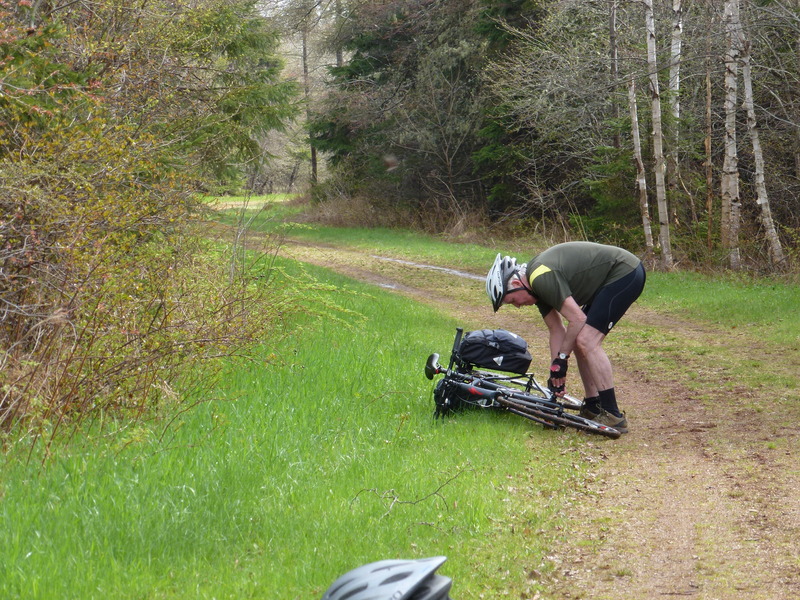 Luckily the gravel trail is well drained and firm and the riding is easier. We arrive at Trailside Inn and Café in Mount Stewart as the heavens open, the wind blows, the lightening flashes, the thunder roars and the rain pelts down. We couldn’t be in a safer place. Mount Stewart is a quiet little town that once was centre of the railway service. Trailside Inn, built by the community in 1937 was PEI’s first Cooperative store. When the “Coop” closed, the building was operated as a general store, then later as a sawmill, then as a potato warehouse. 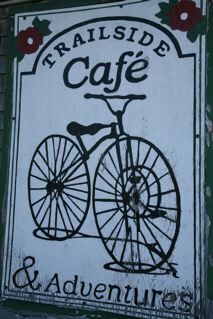 It was restored in the 1970’s to become an Inn, Café and Bike shop. 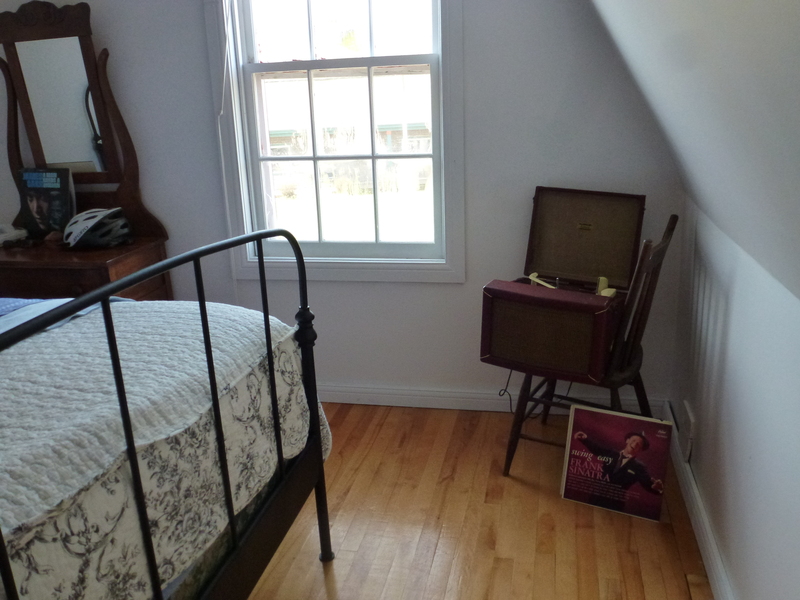 Our room above the restaurant is classic PEI – freshly painted by new owners and impeccably decorated with cosy patchwork quilts, a simple antique wrought iron bed, velvet newly upholstered Victorian chairs, an antique wooden chest of drawers, and best of all, an old record player. Frank Sinatra croons his best for us on vinyl. Carol and John and another friend drive out from their farms near Montague to meet us for dinner and the “show.” Trailside Inn is also a place for music. One by one other guests arrive by truck and car and, not surprising, ours are the only bicycles. About fifty people jam the tiny dining room. 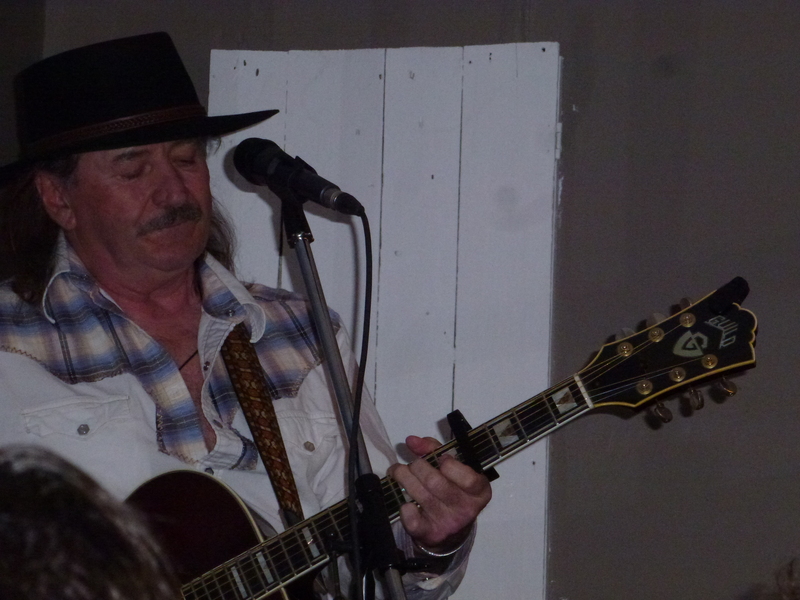 Matt Minglewood begins to pick the strings on a variety his guitars and he sings with “one foot steeped in blues and country and the other in rock.” At Trailside the music is for musicians, someone tells us, “It’s a place where musicians feel at home.” I feel at home too, the music is full of soul and personality, the ballads tell of times gone by, some good, some sad, stories of being on the road. 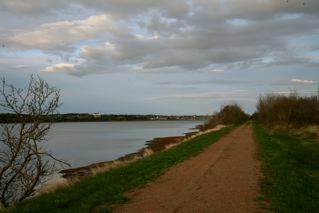 The ride from Mount Stewart to St Peters is one of the most beautiful and well-travelled parts of Confederation Trail. We travel alongside salt marshes, important for providing marsh hay for animals in the early settlements. After the village of Morell we follow the shoreline opposite Greenwich Canadian National Park on the other side of St Peters’ Bay next to the Gulf of St Lawrence. The day is bright and sunny, fishing boats and mussel farms dot blue waters. 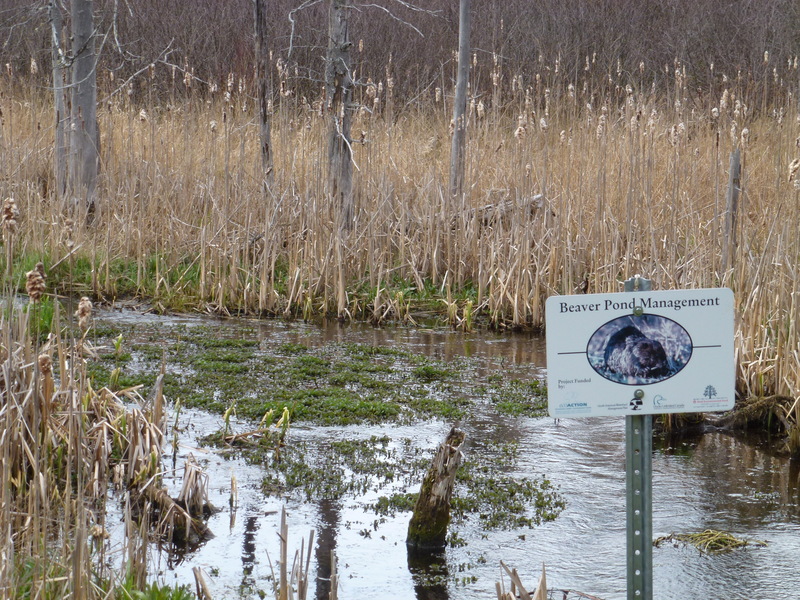 A rough sign near St Peters leads us up through a field to Bayside Inn. 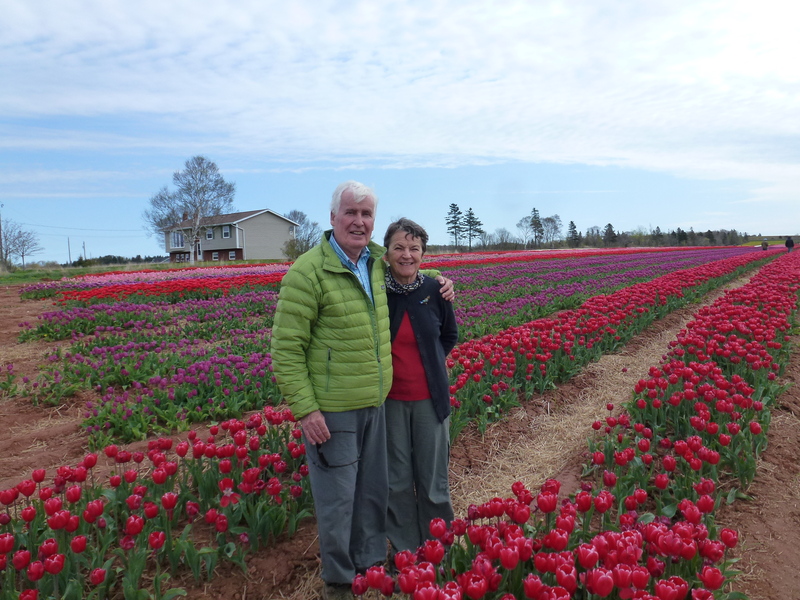 Dolly and Bill have operated this B and B in their home since they retired from potato farming fifteen years ago. There are few tourists in early May and with unpredictable and cool weather, accommodation along the trail is scare. Places to eat are even scarcer. It’s a trade off. We have risked not finding a place to stay or, even worse, a place to eat, but have found a balance in the adventure of eking out warm and friendly places like this and generous home cooked food. We’ve been told that the next portion of the trail is uninspiring. But it is awesome cycling in warm sunshine along a dry trail beside spring flowers pushing through the rich forest floor and apple trees in blossom spawned by people in the old days chucking apples out train windows. 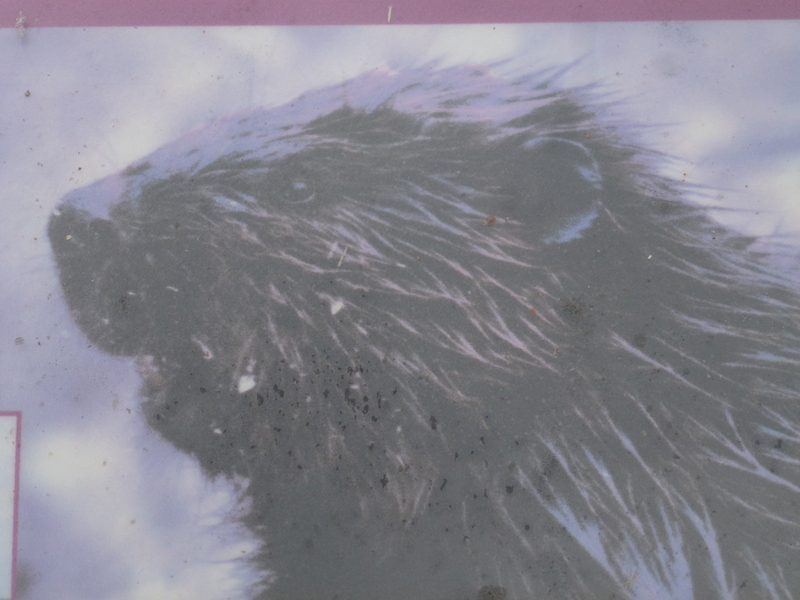 Picturesque bridges cross sparkling trout streams, and dykes skirt swamps filled with waterfowl and beavers. 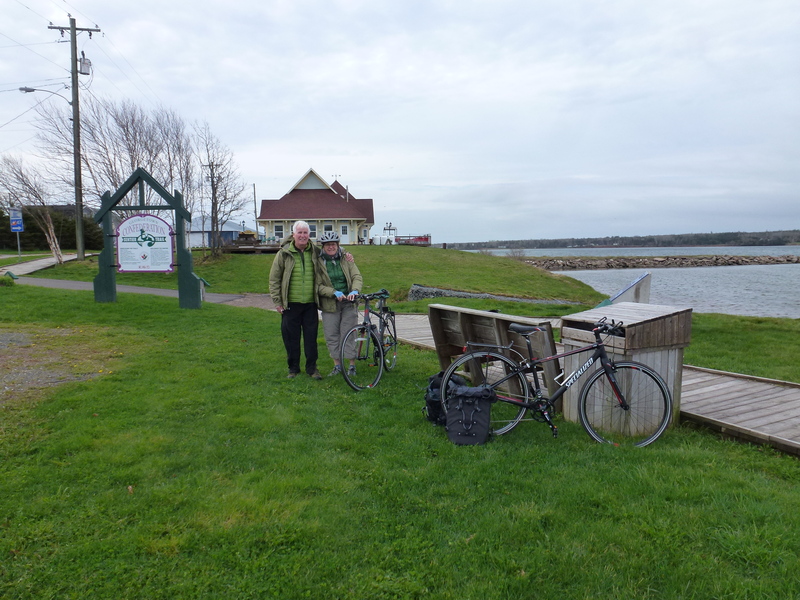 At the kilometre 245 marker we leave Confederation Trail and ride a paved road to Naufrage, a harbour bustling today with streams of lobster boats coming in with their Mother’s Day catch. John is there with the truck to take us home to a lobster dinner and Mother’s Day celebration with family. Happy Trails. 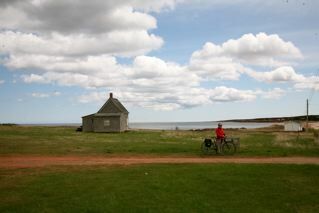 I would love to hear your comments and questions about PEI or cycling. Leave a reply at the bottom of this page.